Vaasa Market Hall offers you the perfect traditional shoppingexperience. We combine traditions with modern service and interesting new offers. The markethall is the place where you meet old friends, make new ones, discuss the weather - and do your daily shopping at the same time. Welcome for lunch in an old-world environment! 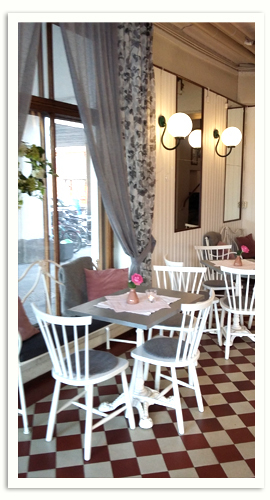 Bistro Kauppahalli is a different lunch restaurant where customers are served their tasty choices at the table. Welcome to experience luxury amidst your everyday hustle and bustle! In 1954 Hilding and Sigrid Löfmark opened a small and modest shop selling meat and cold cuts in the Market Hall. With hard work and skill they managed to obtain quite a large clientele. In 1982, their son took over the shop which grew considerably bigger. A new era and reforms started in 2004 when the Market Hall was refurbished. The shop moved to the upper hall, and the old and the new customers have found their way there. 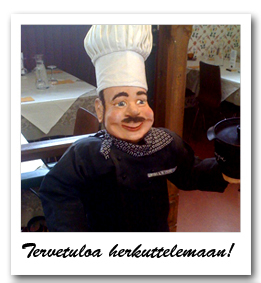 At present, we sell only Finnish meat products, e.g. lamb from Vörå and Lapland - and not to forget our Christmas specialities. We bake and smoke Christmas hams and other products in accordance with our customers' wishes. You can also buy elk and reindeer from us seasonally, ask more! Lunchmenu Lunch is on MON-FRI at 10.30-14.30 and SAT 11.00-14.30. Water and coffee or tee included. ALSO TAKE AWAY! You can order lunch to bigger groups, for example your work staff. Please make your order a day before pickup! 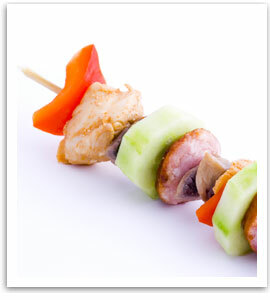 See lunchmenu from out website! You can get these local bakeries' products from our cafe. For example you can find Finland's best bakery -competition winner's Aroma Bageri & Konditori's products from us. We also have products from Chocolat and Andreasknips homebagery. Products for everyday events and parties! You can also order products from us whenever you need to make your day delicious! Salty and sweet treats to your daily life, family meetings, weddings and company events. Contact us or stop by, let's plan your day together! The Market Hall houses the one and only fishmonger's in Vaasa. We offer fresh fish from the Kvarken, smoked fish from Sundom, shellfish and canned fish products as well as seasonal products, e.g. Swedish surströmming (soured herring), lamprey, lutefish (air-dried whitefish), live crayfish, etc. Dark roasted coffee, special blend and take away. Sandwiches and salty pastry filled with Kauppahalli's own delicious products. 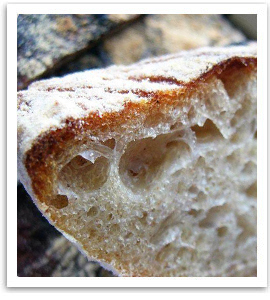 Delicious bakery products even as take away or on order. Vaasan Luonnonravinto has operated in Vaasa Market Hall for over 30 years now and is founded in 1959 so it is one of Finland's oldest health and welfare stores. 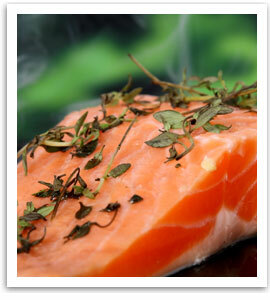 We have a wide variety of food supplements, natural cosmetics, superfood etc. 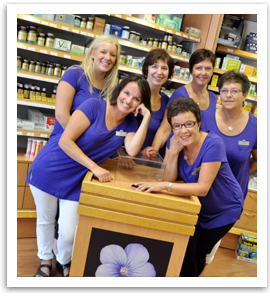 Our trained staff will help you to find best solutions for better life! Visit us at the Market Hall for lunch, finish it off with a nice espresso and bring home some nice fresh ingredients - everything conveniently under the same roof! We also offer special treats that make your tastebuds water. If you are looking for a gift, we can offer you art, decor, clothing and much more. Welcome! 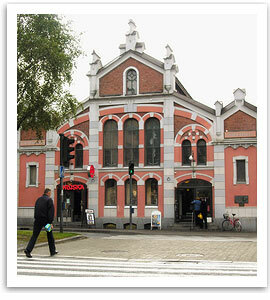 For over a century Vasa Market Hall has been serving people as an essential gatheringplace and market in Vaasa. We, the merchants are very proud of our gothic style hallbuilding and its athmosphere ringing with history. Vasa Market Hall is one of the oldest in Finland, it is also protected by museum laws. Vaasan Kauppahalli's site was owned over hundred years by Halli Oy but was sold to property investment company vvt (www.vvtkiinteistosijoitus.fi/) in 2016. Halli Oy was founded by Oskar Rewell, A W Stenfors and K H Majantie in 1900. The first site to be purchased by Halli Oy was the plot in the junction of Vaasanpuistikko 18 / Kauppapuistikko 13. This was the site where the Market Hall was built according to the designs of architect A W Stenfors, in order to make a modern tradingplace in Vaasa. The Market hall was built in two separate sections of which the first, the one adjacent to Vaasanpuistikko stood clear in 1902, the second one, closer to Kauppapuistikko in 1927. From 1963 and on, the two halves have been joined together, making a free passage between the upper and the lower section of the Market Hall.